Confession...I am completely and utterly obsessed with macarons. These tiny morsels of egg white and sugar sandwiched with ganache are my kryptonite. Many failed attempts to make my own, usually ending with sad collapsed shells and a kitchen covered in almond meal, have led me to leave it to the experts. 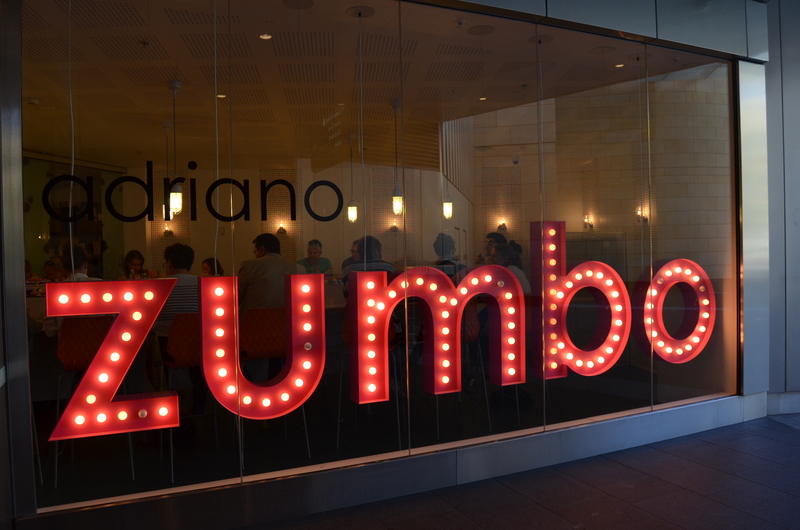 Adriano Zumbo is pretty much the guru of macarons in Australia. 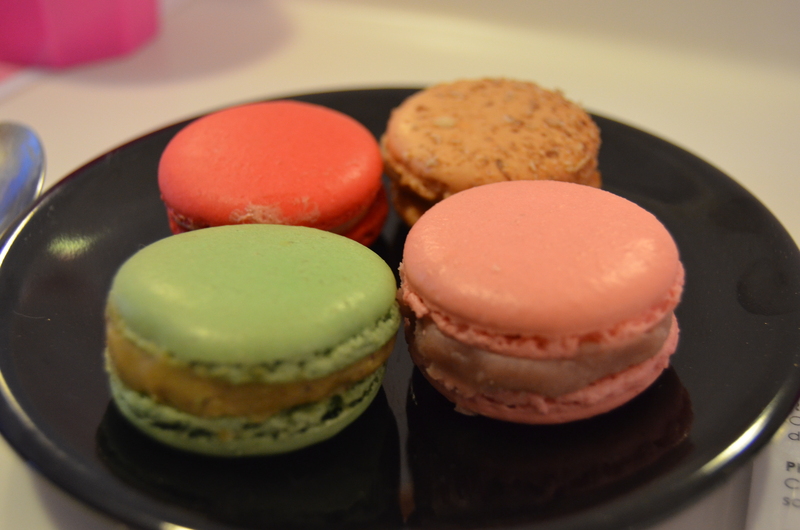 So famous his macarons are affectionately called Zumbarons. This is why on a recent trip to Sydney I made sure the gourmet tour included a stop at his store in the Star Casino. This is not just any store! 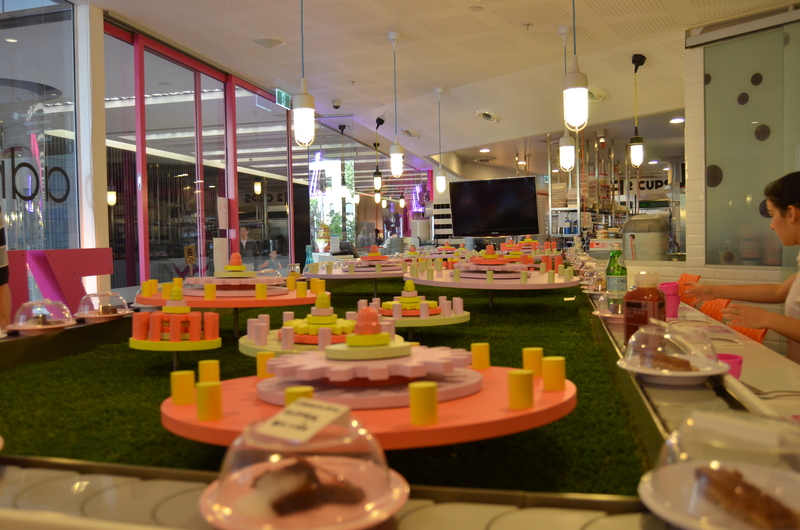 Zumbo at the Star features one of the most fabulous inventions I have ever seen...think of a sushi train and replace the sushi with plates of dessert! Yes....never ending plates of dessert! Augustus Gloop would be in heaven! You cannot book the dessert train and there are only 18 seats, so prepare to wait when it is busy. Luckily most people can only consume so much sugar so the line does move quite quickly. The dessert train is open Wednesday-Sunday and offers diners the option of taking plates from the conveyer belt or ordering from the a la carte menu. White plates are $5, pink are $6 and black are $10. 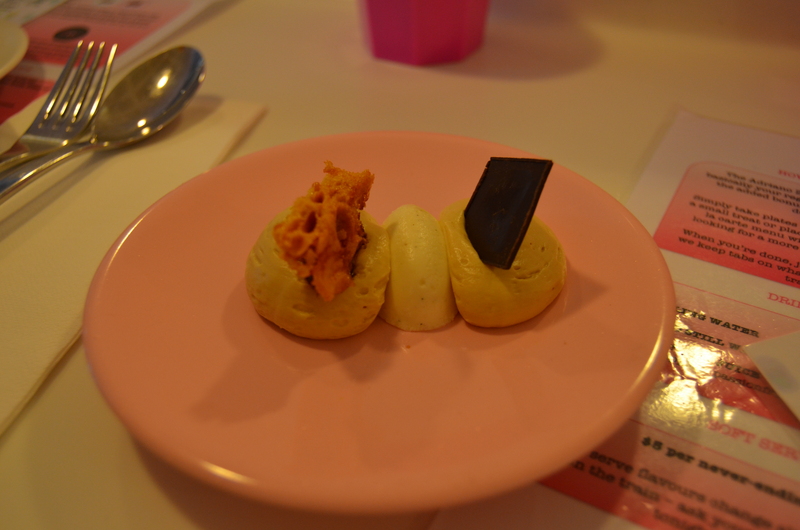 Zumbarons come 4 a piece on the black plates. 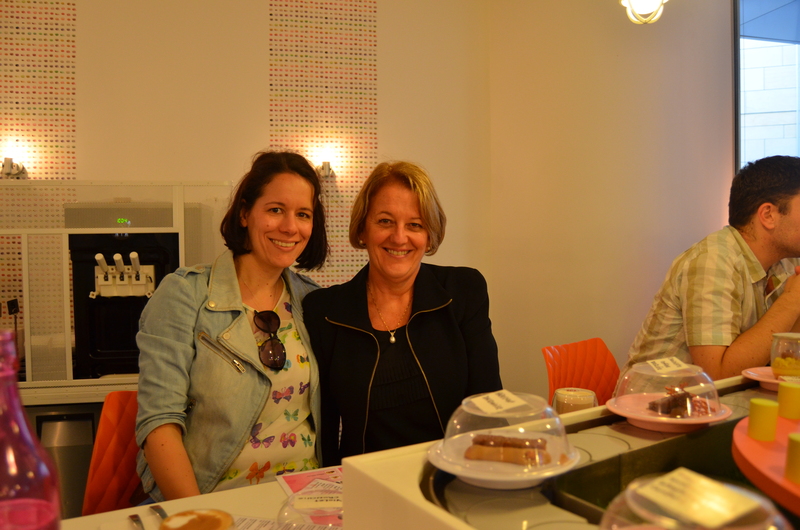 They also offer a wide range of hot and cold drinks, including a delicious hot chocolate if your sweet tooth knows no limits. The open kitchen adds to the excitement as you watch the pastry chefs churn out exquisite desserts. During our sitting we tried the chocolate on chocolate dessert, a deconstructed lemon tart, the violet crumble and a plate of zumbarons including strawberry bubblegum, pistachio and raspberry beetroot. 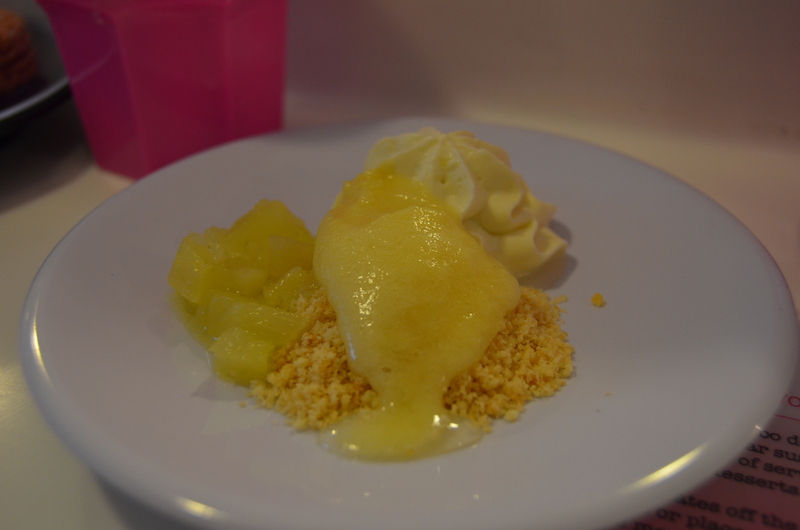 The flavours are unique and even though the combinations may sound odd, they are quite simply delicious. From vegemite to chocolate peanut butter jelly to pineapple and ginger these Zumbarons truly are a party for your tastebuds. 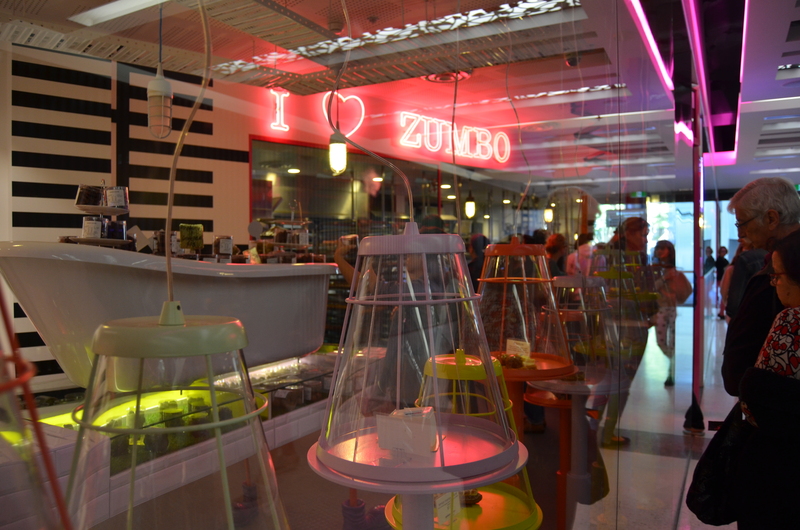 Overall the Zumbo Dessert Train was a novel experience and a must visit if you are ever in Sydney. I think his macarons are the best reason to visit. 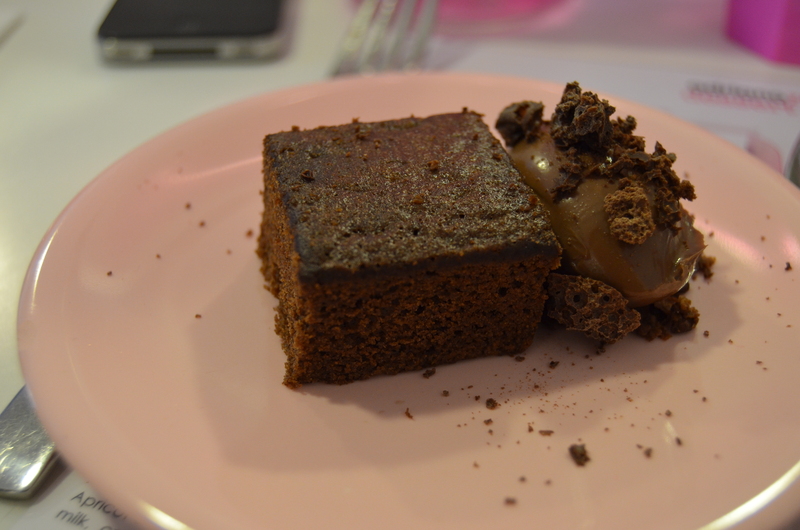 I would still choose dessert from Burch & Purchese any day.